Long revered as the symbol of the United States, freedom and Liberty, the Bald Eagle has been engrained into the mind of almost every American. Making its appearance on flags, banners and currency, the very image of the Bald Eagle goes hand in hand with the United States of America. It first appeared on the National Seal in 1782. It wasn’t until 1787 ( after much debate from Ben Franklin, who wanted the National Bird to be the Wild Turkey) that the Bald Eagle was officially named the National Bird. Bald Eagles are truly a magnificent animal to behold. Their large size makes them truly impressive. Despite their large size, they are very agile and able to dive for fish and other prey in the blink of an eye. An expert at using natural air currents, Eagles are able to stay aloft without flapping a wing and can hover in one spot for quite some time. Until recently, Bald Eagles have been a rarity. 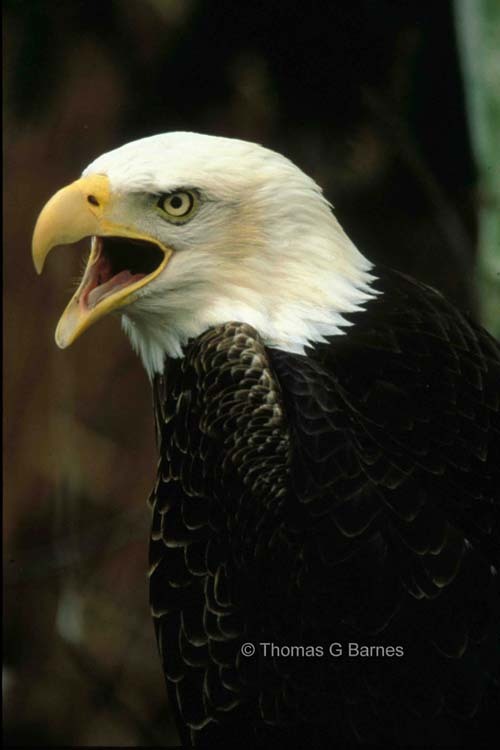 For many years, Bald Eagles were on the brink of extinction as a result of DDT (an insecticide that worked its way into the food chain which caused birds of prey to lay eggs with shells too thin to support the weight of adults trying to incubate the eggs.) Although they have been removed from the Endangered Species List (which happened in 2007) seeing a Bald Eagle in many places is still not a common occurrence. They prefer living and nesting in areas near water with large trees to support the weight of their huge nests. Areas like this are in decline, making it difficult find suitable nesting areas. There are several places that now hold stable populations of these birds and one now has be better chance of seeing these birds as they ever have. Viewable populations immediately coming to mind are in locations like Kentucky Lake, Lake Barkley, Cave Run Lake and Dewey Lake (all in Kentucky). Populations are also seen at South Holston and Flannigan in southwest Virginia. One also now has the opportunity to see transient birds (birds that are traveling and migrating) in many different places. Just last week, we were fortunate enough to see a traveling Bald Eagle right here at the Breaks! Bald Eagles remain a symbol of the United States still to this day. The very sight of a Bald Eagle is inspiring and reminds us of where we came from many years ago. 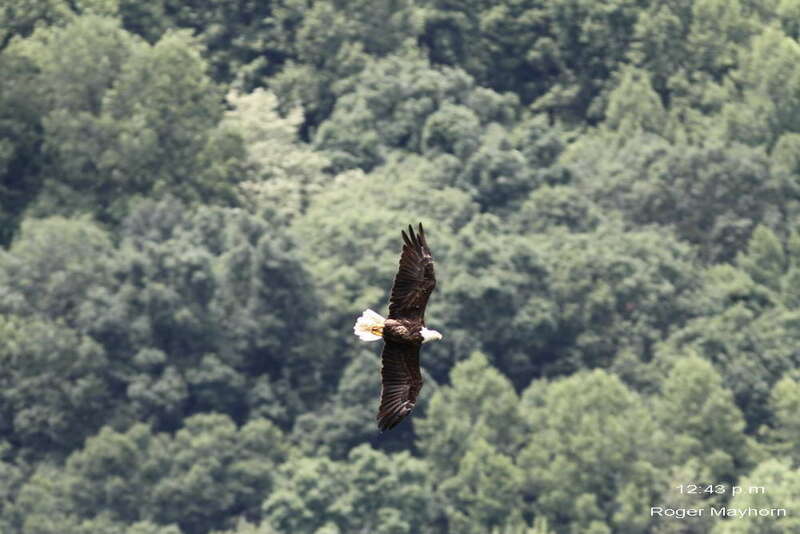 Protection and conservation to help these birds are paramount to ensure that generations to come can see and appreciate the very symbol of freedom that was set by our Founding Fathers in 1787. Help conserve these animals so that they may enjoy the same freedom that we are privileged to enjoy. Happy 4th of July!